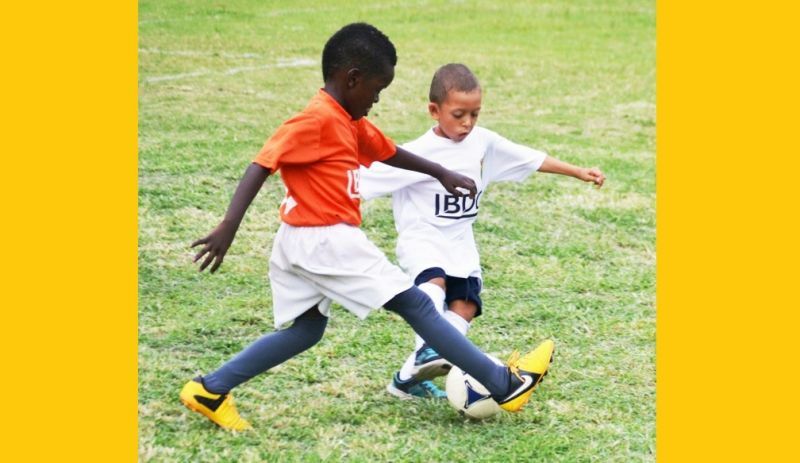 ROAD TOWN, Tortola, VI - Two intense BDO U7 Primary School Football semi-finals took place last Thursday November 19, 2015 with First Impressions and Robinson O’Neal gaining the right to battle it out in the championship game. First Impressions overcame Cedar White 3-0 on two goals by Roman Nibbs and one from Blyden Aldridge. In the second semi-final, Robinson O’Neal Primary progressed after defeating Bregado Flax 1-0, with Kyle Farrington notching the only goal of the game. The final is scheduled for Wednesday December 3, 2015 on the renovated A.O. Shirley Ground. Meanwhile, in the U9 Division, Alexandrina Maduro had already confirmed their semi-final place, finishing top of Group A. Althea Scatliffe Primary secured their semi-final berth with back to back wins over Cedar School and First Impressions. Johari Lacey scored the only goal of the game against JSPS and a brace in the game with Cedar in a 2-0 win. ASPS qualified as the best third placed team after ending their Group B campaign behind Bregado Flax, who rounded out their season with a 3-0 win against Joyce Samuel Primary, courtesy of goals by Joel Mars, Jaden Abrams and Andres Bailey. The VG team also recorded a 4-1 victory against Cedar School with Jaden Abrams scoring twice, Jadon Abrams once and Emmanuel Etienne also once. The semi-finals are scheduled for Wednesday November 25, 2015 when Alexandrina Maduro will play Bregado Flax and St George’s, who topped Group C, face Althea Scatliffe Primary. In the Under 12’s, the regulation season ended with Althea Scatlffe beating Alexandrina Maduro 4-1 on a hat trick by Shammah Peters. St George’s beat Cedar 1-0, with B'Jhon Christopher scoring the only goal of the game and AMPS bounced back from the loss to ASPS by beating Joyce Samuel Primary, thanks to Felix Walters’ lone strike. The eight teams that reached the quarter finals are Seventh-day Adventist, St George’s, Cedar White, Cedar “J” Green, Cedar “G” Green, Althea Scattliffe, Bregado Flax and First Impressions Primary School. The quarter-finals are on Thursday November 26 and Saturday November 28, 2015 in Baughers Bay. First Impressions taking this one!!! !